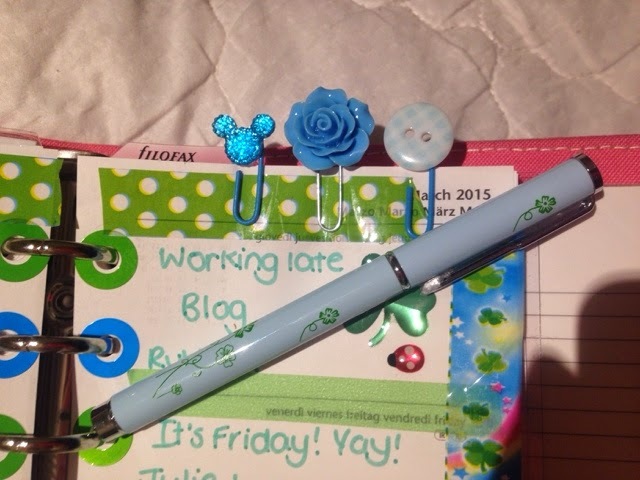 As it's Saint Patrick's Day I opted for a green theme throughout. 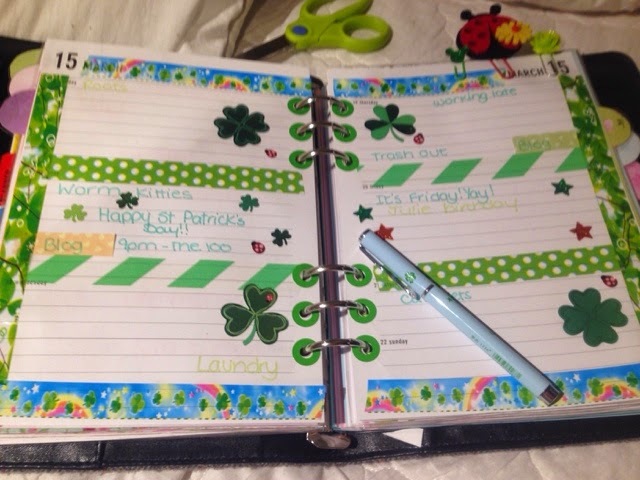 I used shamrock stickers from Amazon and washi tapes from eBay and ikea. I really love the way these pages have turned out, they're really cute. 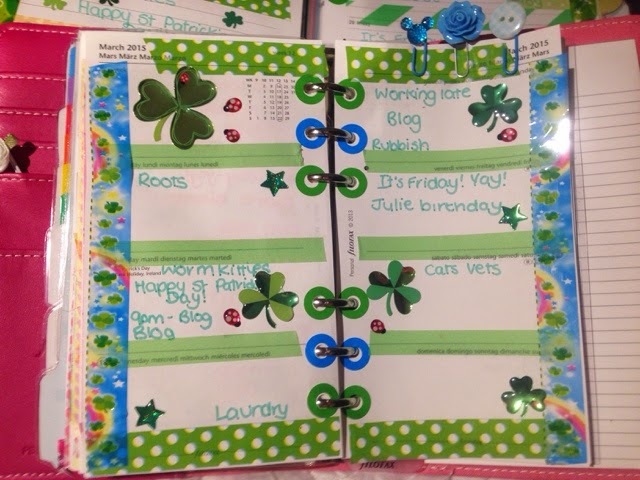 I swapped some of the tapes round for my personal size but carried on the St Paddys theme. I added some blue paperclips to create a little contrast. I love the sparkly blue Muckey.